CALL NOW TO PLACE YOUR TO GO ORDER! RIBS - CHICKEN - PULLED PORK - BRISKET - ICE CREAM AND MORE! BBQ done right! 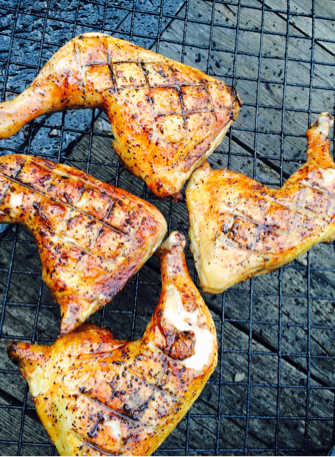 We are a BBQ & Ice Cream stand that specializes in grilling up the freshest BBQ in town! 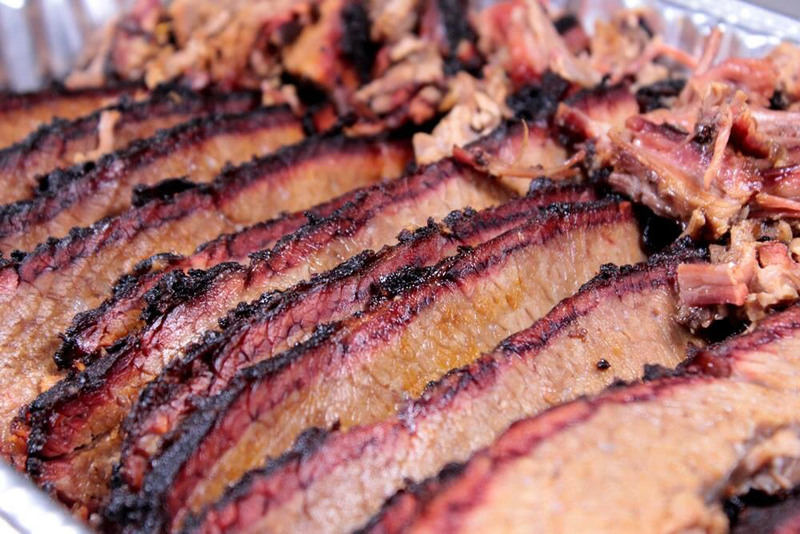 Stop in to try some of our signature ribs, pit grilled chicken , slow smoked pulled pork, brisket and more! Full BBQ menu on Fridays and Sundays. The weekday menu is full of Burgers, Salads, Wraps, Wings and daily Sandwich Specials. Island BBQ also has a full service catering business. We are dedicated to maintaining the highest standards of culinary excellence with an emphasis on a fresh, high quality menu. We have new menu specials weekly and we are excited to have delicious ice cream as well. Watch for updates on when the stand will open in April! Follow our truck @Island BBQ on Facebook for weekly specials and events! topped with your choice of 3 hand crafted BBQ sauces. Burgers, Wings, Salads .....And SO MUCH MORE! 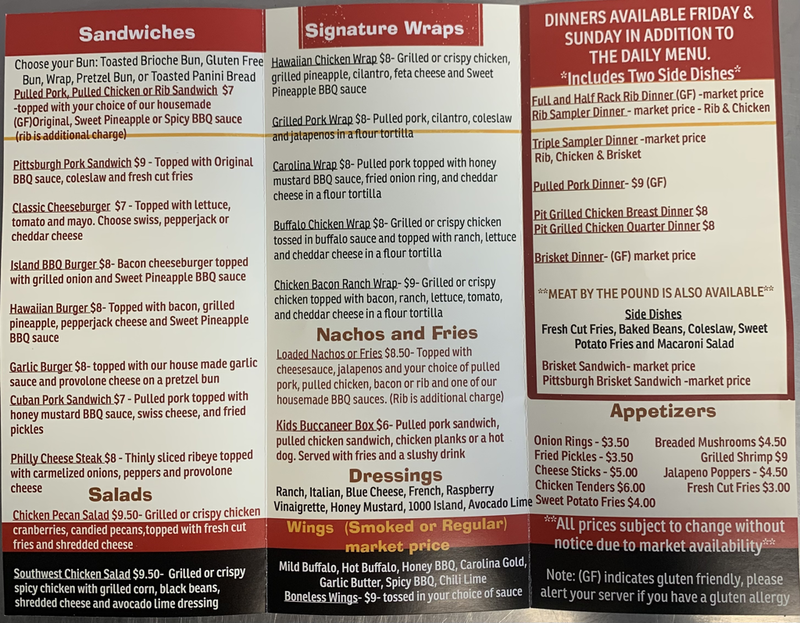 Stop in to see our full menu. Coleslaw, Baked Beans, Macaroni Salad, Fresh Cut Fries, Sweet Potato Fries and more! ​WE USE LOCAL, SEASONAL PRODUCE ON OUR MENU! From a backyard BBQ to elegant weddings we cater it all! Give us a call to customize your next event!